For your interest in donating to the Head Injury Association of Northern Nevada. Of course, HIANN appreciates all contributions large or small. 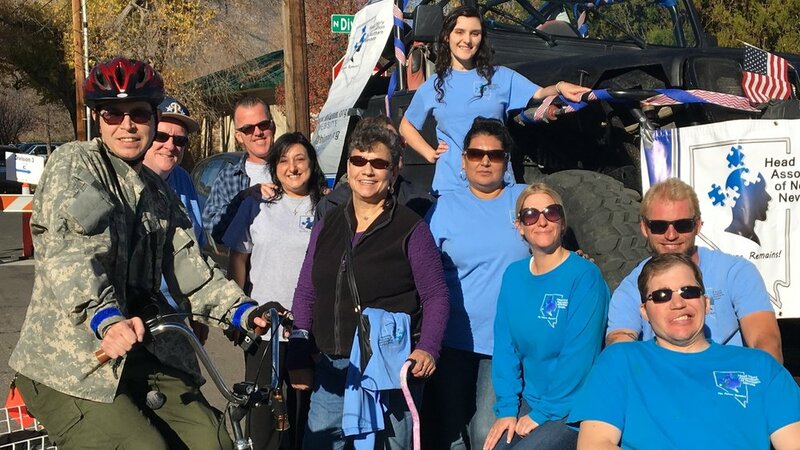 Please help HIANN provide support for brain injury survivors, their families and caregivers in the Greater Northern Nevada Area. You can make a personal donation now by clicking on the button below! $1,000: Enables 5 survivors to receive online cognitive training, a tablet and technical support for 1 year. Or, enables 50 survivors to participate in 2 art therapy classes. Or, enables HIANN to sponsor 5 brain injury prevention events where volunteers (including TBI survivors, their families, and care givers) distribute free bicycle helmets to elementary school children. $2,500: Enables 20 survivors to experience 4 nutrition and cooking classes to assist these survivors toward a goal of improved brain health through healthy eating habits. $5,000: Enables 25 survivors to participate in 48 physical fitness training classes to assist these survivors toward a goal of physical rehabilitation and independence. $10,000: Enables all HIANN survivors to participate in the aforemenetioned programs and other events, including support group meetings, group outings, transportation and other educational classes to expand programming for head injury survivors. Your compassionate donation includes a HIANN membership and an invitation to our annual picnic for you and your family. Please contact Jeff McDaniel at (209) 482-8562 or at info@hiann.org to learn more about these exciting grant opportunities. To make a grant from your Community Foundation Donor Advised Fund, please contact a member of our Stewardship Team at (775) 333-5499.